Thirty-eight years is a long time to sit on your mat. Every day is the same. Waiting. Watching. Hoping. Not much changes. Sitting on his mat has become a way of life for the man in today’s gospel. His life is stagnant. He’s unable to see that the deep well of life is within him. He’s convinced that life will bubble up outside of him, over there, in that magic pool of water. So he sits on his mat waiting, watching, and hoping that things will change. There was a belief that this pool of water called Beth-zatha had healing properties and that it could change one’s life. It was said that every now and then an angel would stir the water, the water would begin to bubble, and the first one in the water would be healed. 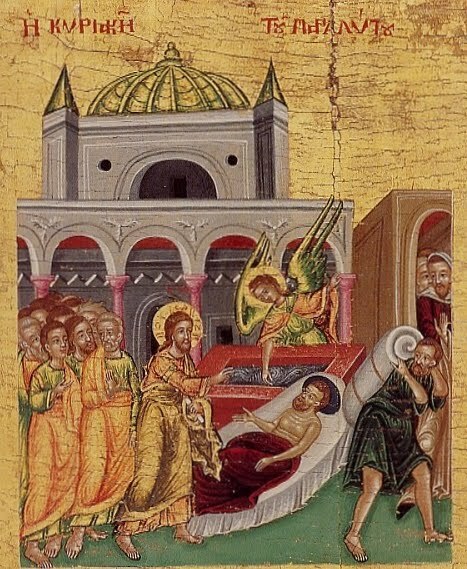 The man in today’s gospel won’t get up off his mat until he sees the first bubble. He is living an “as soon as” life.